The income bump that comes when you use your book as the strategic business tool it can be—income from coaching, high profile speaking, consulting, facilitating seminars or workshops and more. Yet, if you’re like most people, I’m guessing you feel overwhelmed. Perhaps you’ve started and stopped—more than once, even—but you lack the confidence, clarity, expertise, support, time or accountability to complete your book. Maybe you question your ability to write it. 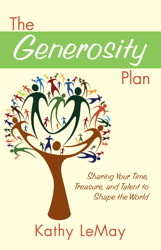 Kathy LeMay is changing the world with her book, The Generosity Plan. She’s speaking all over the country to financial planners—at the expense of some of the largest investment companies and banks—teaching them how to advise their clients about philanthropic giving. 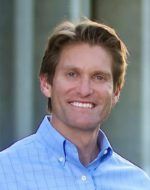 Dr. Irving Gilson wrote his workbook in my 8 week program and now uses the workbook with patients and participants in his Life Extension and Weight Management Revolution programs. Linda Joy, whose book Juicy, Joyful Life climbed the Amazon bestseller charts in two categories just over nine months after taking my Bring Your Book to Life Program. All these authors doubted whether they could make their book writing dreams come true. Here’s what they knew: They could NOT do it alone. Expert feedback on how to organize the book plus guidance and input on features, tone and more. You get all that and more in my proven Bring Your Book to Life Program. I’ll give you feedback on your outline—as many times as you need. And I’ll offer you a WRITING BREAKTHROUGH with my famous “Meet Your Muse” visualization so you can get clear answers from within should you need a BREAKTHROUGH or CLARITY in any area of book writing. Writing a book expands you as a person….and growth can feel uncomfortable or challenging. That’s where the breakthrough sessions are so valuable—often critical. Ready to start your book writing journey? Support and accountability to meet your weekly commitments. Crucial insider expertise to write a great, marketable book. Community to motivate you and keep you on track—and often provide a brilliant idea, valuable feedback or a missing piece. In our teleseminar, we have the technology to break out into groups of two or three, so you’ll experience many of the benefits of a live class that most teleseminars don’t have—deeper connection, personal interaction and feedback. You’ll also receive your week-by-week guidebook and exercises to write the best book possible and stay on track, along with 8 CDs designed for each week of class. As you write, you send me pages for feedback—up to 30! At the end of the program I send you a personalized editing plan customized to your particular writing style and challenges—so you can grow as a writer and write a high quality, compelling book. My seasoned analysis, creative brainstorming and expert consultation will help you avoid some common mishaps, like writing the wrong book, missing the mark, or writing something mediocre when your book could be a phenomenon. …and you’re ready to take the next steps to edit and publish your book—whether self-publishing or seeking a traditional publisher. Maybe you’ll get a book deal with a major publisher like Bring your Book to Life (BYBTL) graduates Kathy LeMay and Anne Burnett or my clients Drs. Carrie and Alton Barron, Vint Virga, Dr. Ellen Weber Libby, Maureen Hancock, Dr. Michael Banov and others. Will you retire from your day job and lead retreats in Hawaii and Bermuda and on cruise ships, like my client Pat Hastings, author of Simply a Woman of Faith? Perhaps you’ll grow your consulting, speaking or coaching practice with your book as did BYBTL graduates Stephanie Oden and Kathy LeMay. Surely your book will make a difference in the world, like Dr. Irving Gilson, who uses his workbook in his programs to help people extend their lives and manage their weight. For me, becoming a published author with a major publisher (Health Communications or HCI) launched a new career as a book coach that I never anticipated—work that brings me joy every day of my life. I know I’m living my purpose. My book also immediately opened doors to teaching seminars in major corporations like New Balance Shoes and the Dana Farber Cancer Institute and at international conferences like the Association of Image Consultants International. Later, a connection I made in publicizing my book presented the opportunity of teaching on the faculty of Harvard Medical School’s CME publishing course—which I’ve done for five years now. These opportunities—that came from my book—have absolutely made my career. What’s the Value to You of Becoming a Published Author? Maybe your book will help fill your seminars. My client, Evana Maggiore, wrote the internationally acclaimed Fashion Feng Shui: The Power of Dressing with Intention. Often, people come across her website, become intrigued, order her book, read it in one sitting and sign up for a $3,500 workshop after finishing her book. Now, multiply your future published-author-size seminar fees by the number of people who will sign up when they’re inspired by your book—does that make your heart leap? What will your book do for you? You probably have some idea, but you will be truly amazed by the opportunities that come up when you actually finish and publish your book and it starts opening doors for you. Maybe your book will earn you tens of thousands or more in high quality speaking and training gigs, like Kathy LeMay, author of The Generosity Plan, whom I told you about earlier. If your book brings in just one more high quality speaking gig per month at $3,000 each, that could mean $36,000 in a year. And how many additional clients—ideal clients—might be attracted to work with you because of your book? Could that generate an extra several thousand dollars a month? Clearly this investment has the power to help fuel your business growth and attract income from many sources. Only you can do the math for your particular business plans and realize the full potential value of your investment—this could be the best investment you can make right now. With all the individual one-on-one work I include with the program—and I do not know of any book writing program that provides the comprehensive support of Bring Your Book to Life—I know I could have charged more. I do for my private work, much of which is included in the program. But I want to make this a no-brainer for you—and as easeful as possible. That’s why I charge only $4,997 for this program. Just one new client or one high quality speaking gig has the potential to recoup your investment! Are you ready to take this crucial step on the road to being a successfully published author? Are you ready to join me for all the expert guidance, support and accountability you’ll get in the Bring Your Book to Life Program? Join Me and Register Today. If you need the dates of classes or want to check out the extra special bonuses, scroll down below. I do record all classes should you need to miss one. Note: If you’re interested in the in-person classes in Narragansett, you can sign up below; prices are the same. Just shoot me an e-mail to say you want the Narragansett class. Friday, June 28 is our make up day if there is an unscheduled cancellation. “I can’t write.” I’ll show you three rules that will transform your writing when you apply them. “I don’t have the time.” I’ll help you find the time and stick to it. Of course, if you’re unwilling to make changes in your priorities and schedules, you should not take the class. If you’re willing to prioritize and commit, you have my support. “I feel squeamish about investing that much money right now.” A book can be one of the best investments you’ve ever made. I see it time and again with my authors who make thousands of dollars in coaching, consulting or speaking engagements when they sell one book to the right person. And if the full price is a stretch for you right now, you can break your tuition into 2 smaller payments. Plus you have my guarantee below. “I don’t know where to begin.” We’ll cover all of that in class. “I tend to get stuck.” Okay, here’s the one other reason not to do the course. It’s fine if you tended to get stuck in the past but are willing to commit to changing that dynamic. I’m happy to help you transform old habits. But if you’re not willing to step into your power, don’t take the course. Period. It would be a waste of your money and both of our time. “I’ve tried writing my book before and failed.” This is why you can use my guidance and the support of the class. I am committed to your success as long as you are. And I’m committed to helping you through any periods of self-doubt or challenges. “What if something comes up and I can’t finish my book in time?” You can re-take the teleseminars at another time if you don’t finish it the first time, for a nominal 15% course review fee. I’m committed to helping you complete your book, not just start it. So there, you have it. If you’re committed to your success, so am I. Did I mention the bonuses you’ll get? Bonus #7 – Three Speedy Authors Share Their Secrets For Writing A Book In Just A Few Weeks. Hot trends in publishing—and platform building—that you can use to sell your book to agents, publishers and—ultimately—readers. The three things you need to get a memoir published. We’re keeping this exclusive event small—just for the first 25 people to register for either of my Bring Your Book to Life classes. The private call will include a Q&A with your questions. Still need clarity? E-mail me with times you can chat and we’ll set up an appointment to answer your questions and help you come to a clear decision. Either way, I want you to feel 100% great about what you decide—whether it’s yes or no. So, let’s chat and get clear today, and if you decide to take the class, you can start your new journey to published author in just a few hours. Part I: If you are not satisfied with the value after the first class the week of April 26, let me know within two days of class, return your materials in new condition (it’s okay if you take off the shrinkwrap!) and you will receive a REFUND, minus a fee for any private work you’ve done with me (from $0 to $600, depending on private work done) or any damage to the materials. Part II: If you don’t finish your book, you can access the 8 teleseminars at any time for support without charge or take the live classes or teleseminars a second time at a fraction of the price (you pay only 15%) so that you complete your book!